Get immediate and unlimited access to 18 amazing meditation destinations. Plus, the renowned Falling Asleep and Pain Management meditations for download! Experience each unique visualization and enjoy all the incredible wellbeing benefits of practising meditation in daily life. 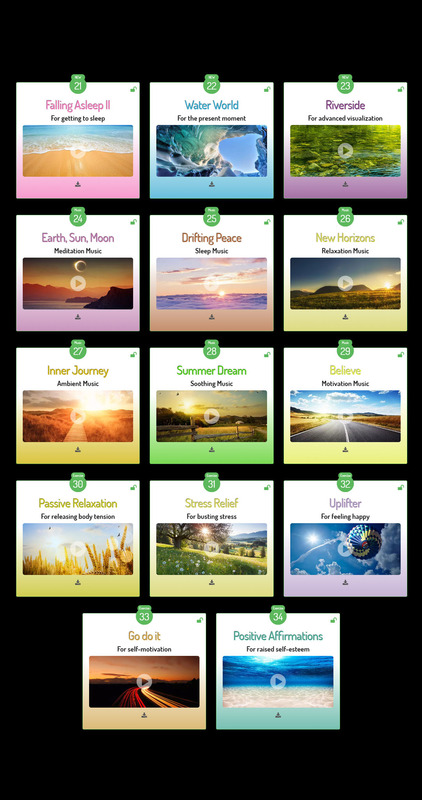 Get more meditation destinations to experience, meditation music to build self-guided meditation skills, and meditative exercises for specific purposes, such as falling asleep, self-esteem, and self-motivation.... all there ready to use whenever you need them!